Designed to be enjoyable and inviting. We welcome people to our online conversations with clarity and focus. We craft a collaborative environment where people forge meaningful connections. 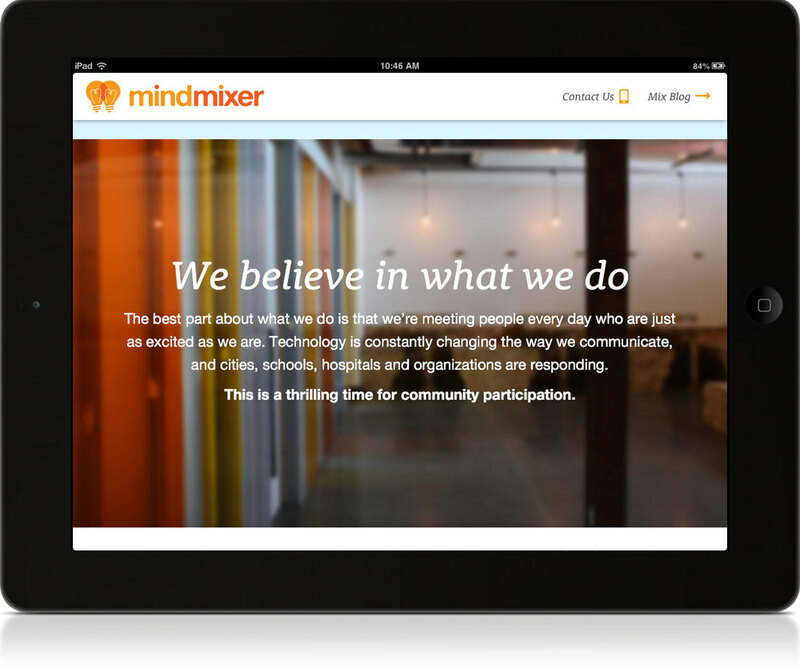 We make it possible for organizations to engage their communities and have a real impact. Over the last three years, this technology company has grown and matured into a leader in the civic startup space. The following is an overview of the brand. This includes the office space, team-building posters, brandbook, buttons, business cards, tradeshow materials, and infographics as well as the company website and client stories. The office is adorned in orange walls to keep things vibrant. Idea bulbs lined conference room glass, icon cards helped keep things on topic in collaboration rooms and lively buttons were always handy. Big type proclaimed in the commons area the company core values. Aspirational values were on the opposite wall. Brandbooks were given to employees after finalized guidelines and messaging was established. The “Power Posters” in the breakout rooms are reminders of why this startup does what it does. 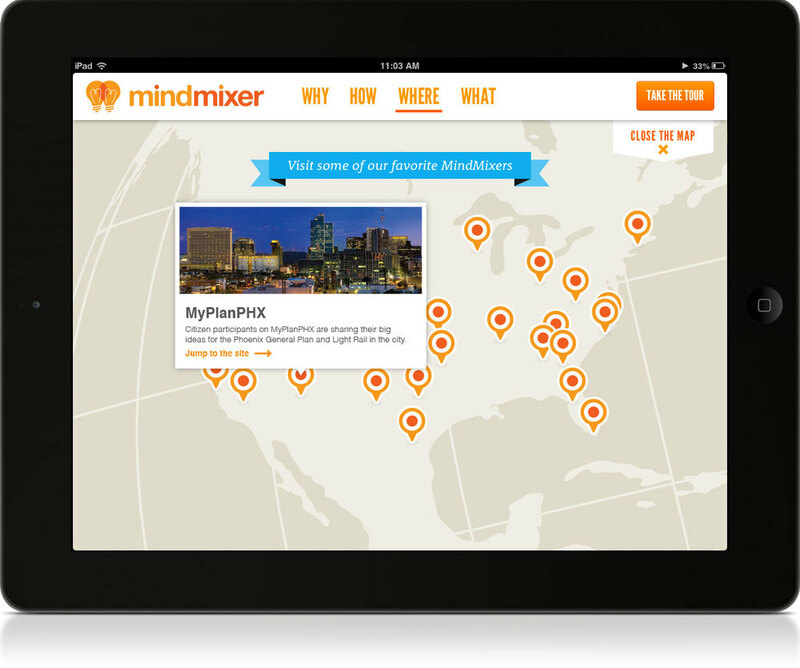 The site is designed to highlight the places where MindMixer has brought people together online. From top to bottom, scan the high-level information of the company story. 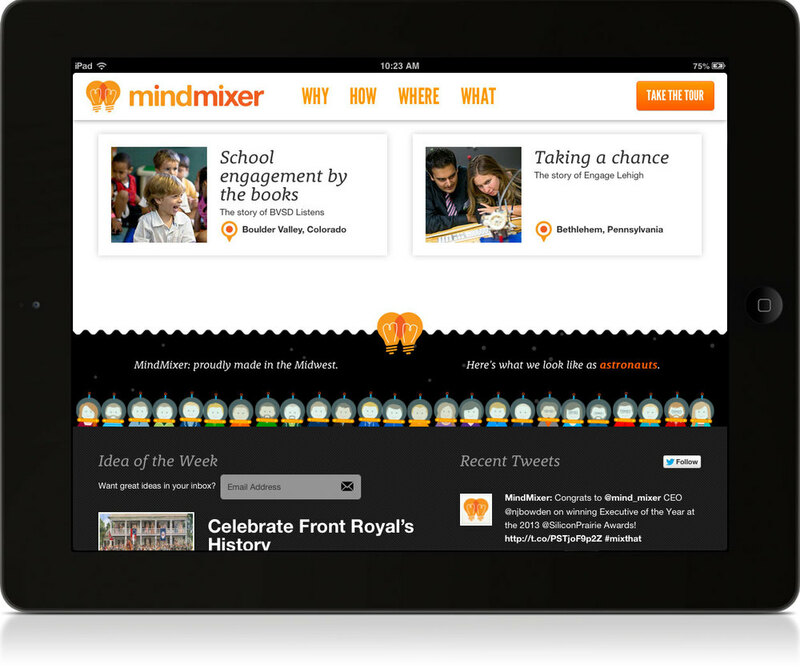 Or dig a little deeper to discover great ideas, visit some of the best project sites and read a selection of success stories. 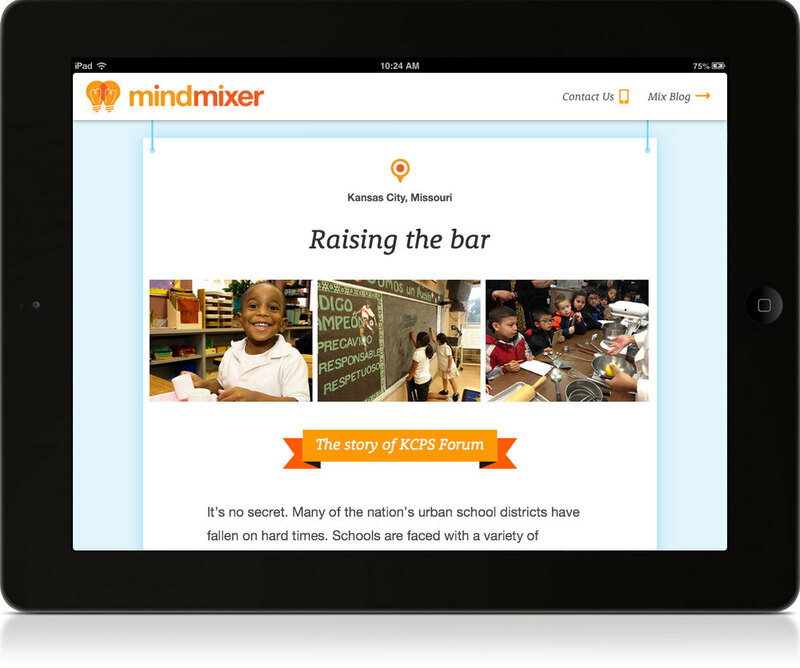 You can also take a tour of the main platform features with commentary from the co-founders. And there might have been some fun with astronauts, gladiators, humans, etc. 2011–2014: Startup, Design Direction, Brand, Environment, Web.